I caught up with a good friend Martin over the weekend and he was telling me about his work situation. Martin works in heavy industry as a contractor, he has done most of his life and he’s now in his mid 40’s. Martin is currently contracting at a mine that is owned by a large company I think he said was called Neo Bingo, or at least something that sounded like that. We got to talking about safety (although I usually try to avoid this topic, it inevitably comes up in my social conversations) and Martin was telling me how working at Neo Bingo was as bad as it gets when it comes to safety. Martin shared his story with me, which reminded me of other similar stores. 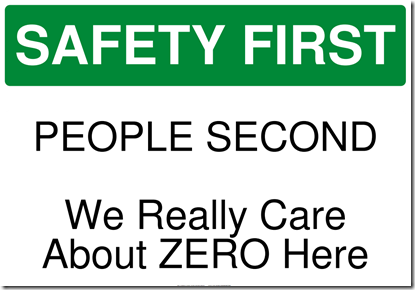 I believe that there are many good people who work in safety. They do care for people, they do want to educate and support learning, but when you work in organisations like ‘Bingo’, it does things to you. The social arrangements and construct that we work in does affect our decisions and judgments, and I don’t imagine how working in ‘Bingo’ could be anything other than about control and power. As an industry, and with the many good people that work in it, I hope we can lead ourselves through this. I hope that one day that I may be proud to say that I ‘work in safety’ and people don’t instantly think of me as a crusader. Sadly, I’m not sure that day will come, so in the mean time, I will continue on my learning adventure trying to better understand how to support and scaffold people to better appreciate why we do what we do. 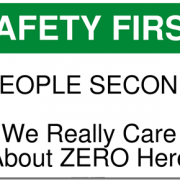 Do you see a day when ‘safety’ will be about people, about understanding, about empathy and compassion, or will control continue to reign the day? As usual, I’d love to hear your thoughts, experiences and comments.